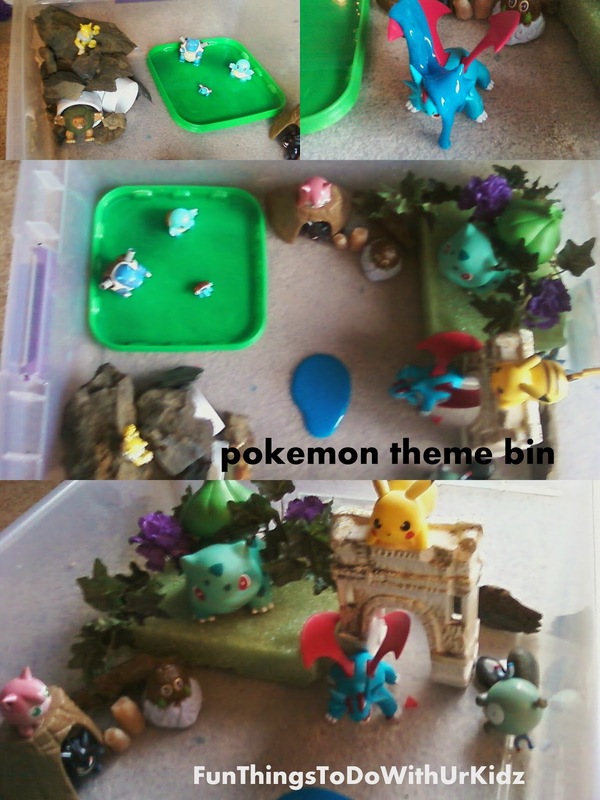 Great for any pokemon lover! This is the first bin I made to engage older kids (around 6 or so) and it went over well. What little kid wouldn't like to make a mess, play with slime, and find new things! This bin cost me around $4 to put together. My hint to everyone would be check local online(facebook) yard-sale pages, you can find some great deals!